How Do Youth Mentoring Organizations Fight Student Absenteeism? We are fast approaching the beginning of the 2018-2019 school year! Youth mentoring organizations across the nation are ramping up their programs, in an effort to fight against student absenteeism. 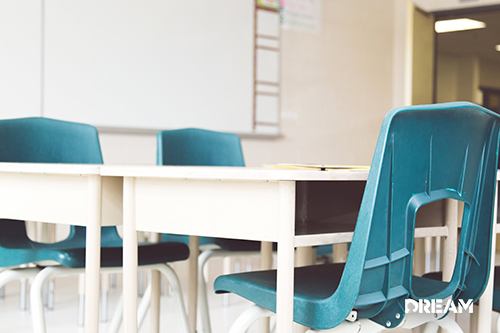 Why Does Student Absenteeism Matter? Chronic absenteeism can be a large problem in schools. Research has shown that regular attendance is an extremely important factor in a student’s achievement and ultimately, his or her success. How Can Youth Mentoring Organizations Help With Chronic Student Absenteeism? Mentors can help get to the root of why students may be chronically absent or tardy. While some students are legitimately sick with chronic health issues, others may have other situations going on. Some students may need to help with younger siblings or have a late-night job that makes morning fatigue an issue. For some, it may be a transportation issue to get to school. Others may be trying to avoid a certain first period class that they’re struggling with or maybe trying to avoid a bully on the school grounds. Whatever the underlying reason, the mentor can help to identify it. Once the root cause is identified, mentors can help students find a solution. An issue can’t be solved until it can be identified. When a mentor, a trusted adult who has partnered with a student, knows what the issue is, they can help them find the resources needed to help alleviate that issue in the student’s life. If a student is struggling with a transportation issue, they may be able to help with transportation or help them arrange a carpool or some other way to get to school. If the student is chronically absent because they’re caring for a younger sibling, the mentor may be able to pull in community resources to help the family out. In addition, mentors who work with students on absenteeism helps set them up for success later in life. It’s not just about graduating from school. Teaching students that “showing up” matters can help them later in life, in their careers, too. Fighting back against absenteeism is just one of the ways that kids benefit from great mentors.